Whether you are fond of birds or simply need a good pair of gloves to round out your historical outfit, the Medieval Falconers Gloves will do the trick. These forearm length gloves are made of leather with select suede detail. Fitted at the wrist, the gloves flare out gently and end halfway to the elbow, making them great for layering over long sleeve shirts. Laces up the outer sides allow for impressive adjustability while adding intricate style. The last two fingers of each hand and half of the palm are made of matching suede. 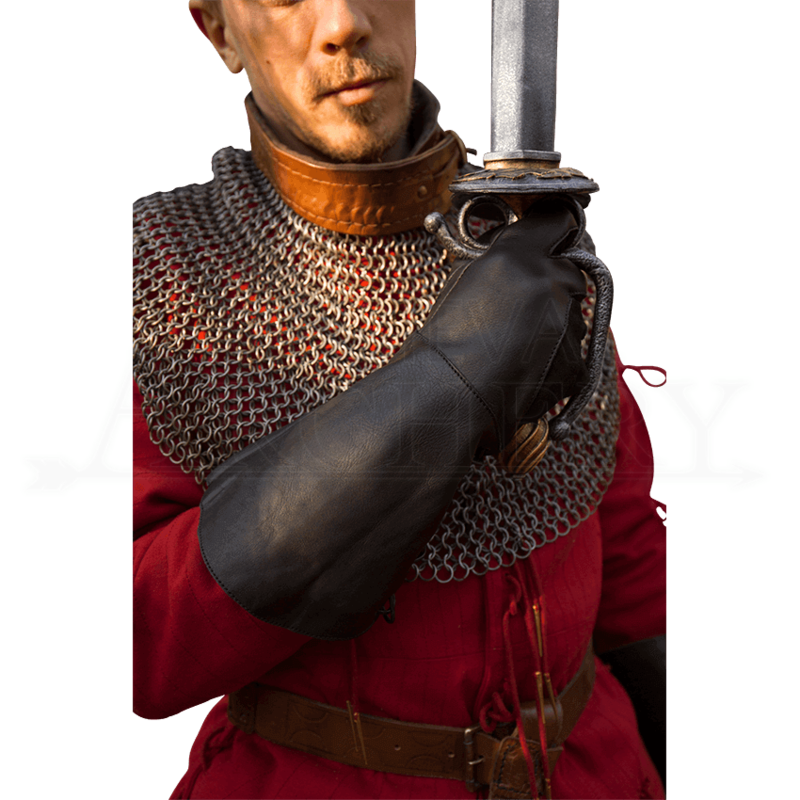 Perfect for all manner of knights, nobles, and other characters from fantasy or medieval eras, add detail and protection to almost any outfit with these sturdy and versatile leather gloves.